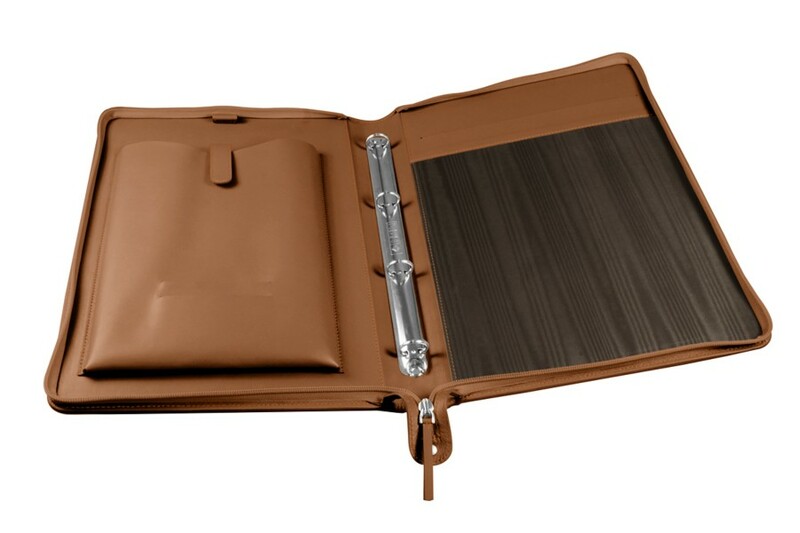 A4 portfolio with ring binders, made from premium quality leather. An elegant accessory for businessmen and professionals. Available in many colours, with several customisable options. 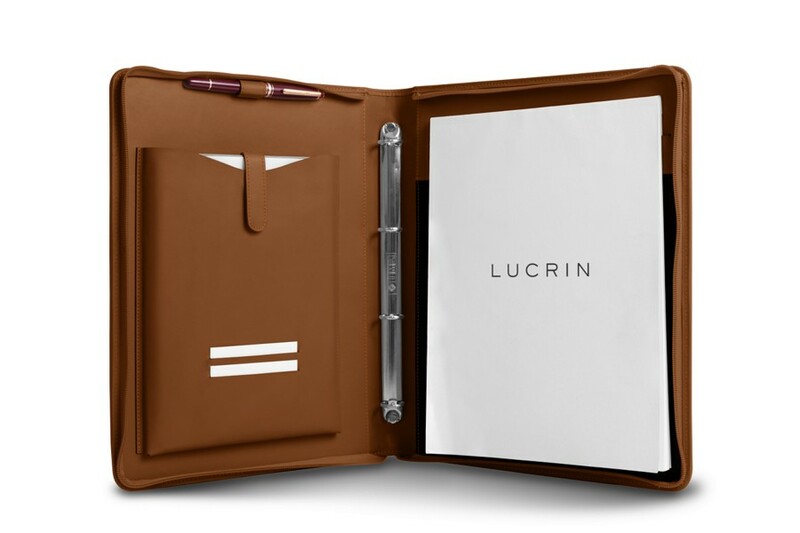 Discover this elegant portfolio with ring binders made from natural leather and designed with a zipper. 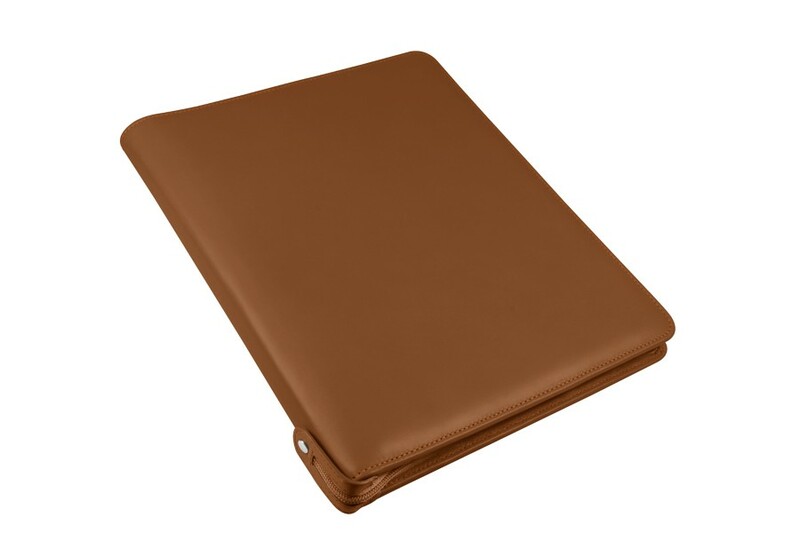 The left interior is entirely made from leather and has a pocket (23 x 21 cm) with flap closure will perfectly store your iPad or any other tablet of the same size. This leather portfolio has a loop (2 cm of diameter) to store your favourite pen and two flat pockets for your credit cards. On the right a flat pocket to slide in your A4 note-pad. It has 4 ring binders on the spine for your perforated paper sheets. 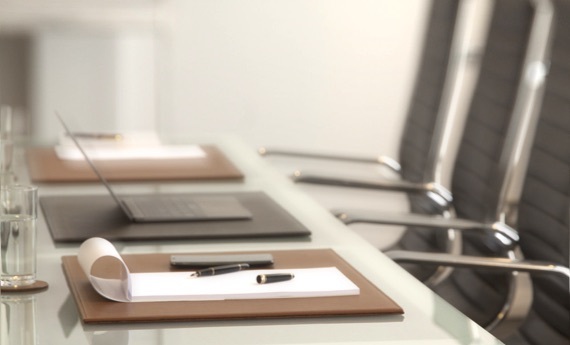 The perfect accessory for businessmen and professionals.